April LES Newsletter - Spring into Spring with the Latest in Local Energy Events & News! 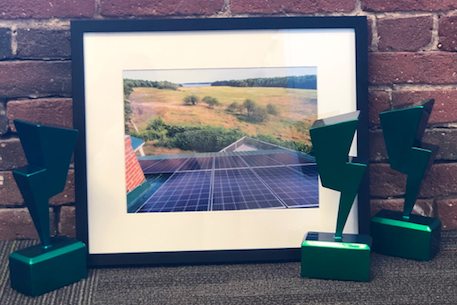 Congratulations to this year's Energy Week Award Winners! Melissa Elander joins the Clean Energy NH team as the state's first Energy Circuit Rider. Melissa brings with her a strong background in energy auditing, energy efficiency, teaching, local government, and entrepreneurship. The North Country Energy Circuit Rider will work in partnership with municipalities in Coös County to implement energy efficiency and clean energy projects. Read more here. Contact Henry Herndon <henry@cleanenergynh.org> for further information. 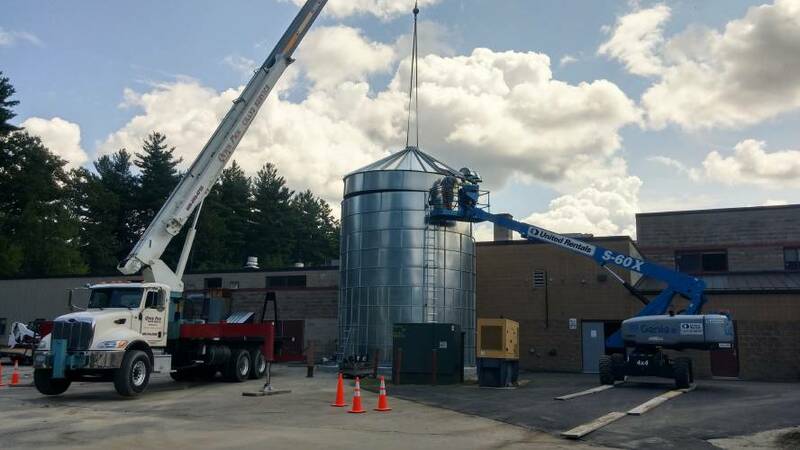 Weare , NH – The students at John Stark High School (SAU 24) are now being heated by a dry wood chip boiler system installed by Froling Energy of Peterborough, NH. Read full story here. Learn more about HAREI here. The Marlborough Federated Church has just installed 70 solar panels on one of its buildings, the Community House on Main St (Rte. 101). It will produce 21 kW which is enough to group net meter the Community House, the church itself, and the parsonage that the minister lives in. 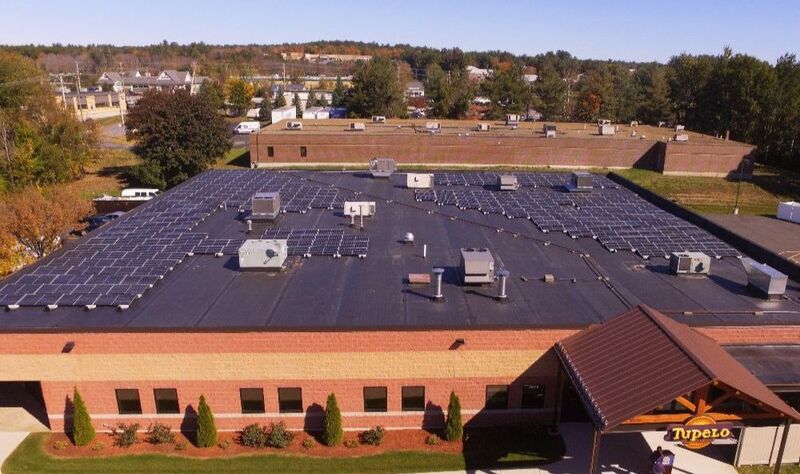 The church entered a Power Purchase Agreement with ReVision Energy to complete the project. Read more here. The City of Concord recenty partnered with Liberty Utilities and NHSaves to receive $36,000 in funding towards energy efficiency upgrades at the Community Center. Read more here. Green Energy Times (G.E.T.) is celebrating its 10th year anniversary with the May 2019 issue! G.E.T. 's beginnings focused on local sustainability news in Vermont. It has since grown to a regional publication covering Vermont, New Hampshire, western Massachusetts, and regions of New York including the Hudson Valley, Capital District, and Oneonta area. Green Energy Times is a free resource bi-monthly publication (published in the odd-numbered months) containing articles about energy efficiency, sustainability, and energy independence. View all current and past issues on www.greenenergytimes.org. Learn how to reduce your carbon footprint. Help support G.E.T. to keep it going for another 10+ year! Visit www.greenenergytimes.org to learn more. 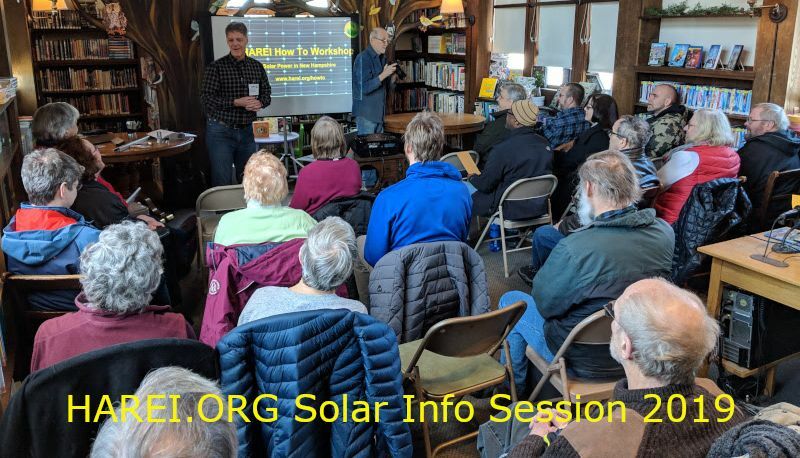 What: Learn about the costs and benefits of going solar, meet neighbors who have already gone solar, meet the Solarize Kearsarge 2019 partner installer, and sign up for a solar site visit. 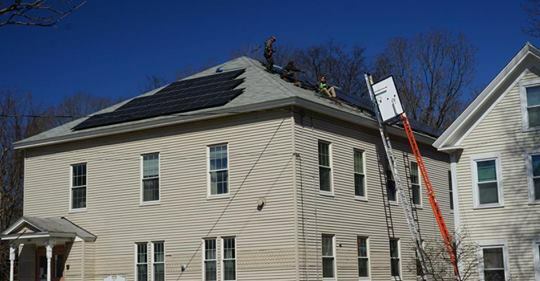 Solarize Kearsarge is helping residents in Andover, New London, Newbury, Sutton, Warner, and Wilmot go solar this year with a pre-vetted installer and group pricing that goes down as more people sign up. 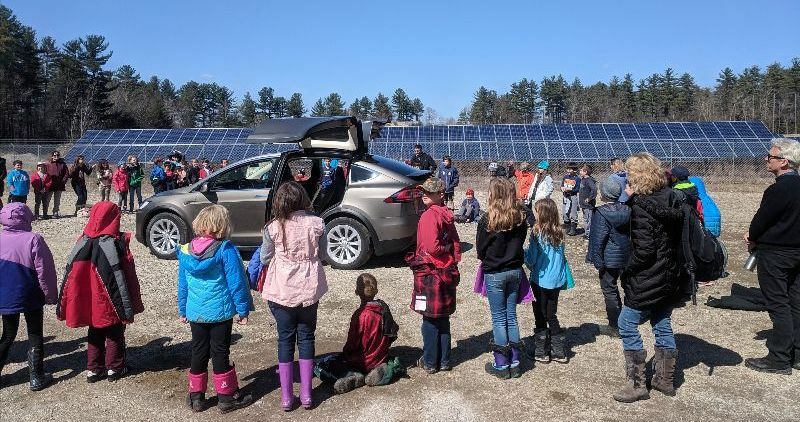 The program is coordinated by nonprofit Vital Communities, with help from dozens of volunteers from Kearsarge Climate Action and our region's town energy committees. "Achieving 100% Renewable Energy - Let's Make it Happen"
What: The Sustainable Hanover Energy Committee is excited to host the 2nd Annual Energy Forum, an update on the past year's progress with displays and choices for residents and businesses who want to join in the transition to clean energy. Help us celebrate the 2nd anniversary of Hanover’s historic vote to transition to 100% renewable energy by 2030 for electricity and by 2050 for transportation and heating. Come to learn what’s happening. Leave with at least one idea to move towards 100 percent in the coming year. New this year! Register on-line and enter your name into a drawing for a surprise prize! What: Speakers will discuss opportunities and challenges posed by integration of renewable energy into the electric grid, including centralized vs. distributed generation, home battery systems, time of use rates, microgrids, smart grids, and more! Check our town web sites in the event of bad weather. Details: See full event details here. 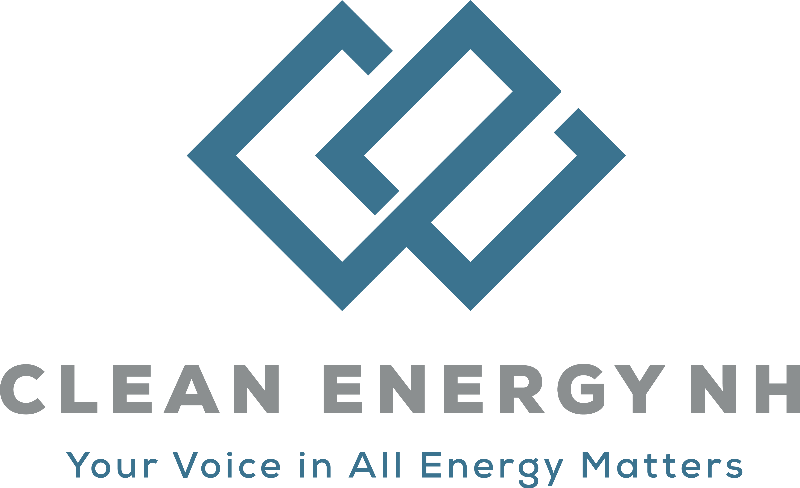 What: The combined efforts of Grantham and Eastman Energy Committees will be hosting a “Energy Efficient Building Materials” info night on May 14th at 7 pm in the lower level of the Grantham Town Hall. The vendors from Yankee Barn, Unity Homes, Preferred Building and Lavalleys will showcase their products and answer questions regarding building new, additions and retrofitting existing homes to make them as close to “Net Zero” as possible. All are welcome and doors open at 6:30.